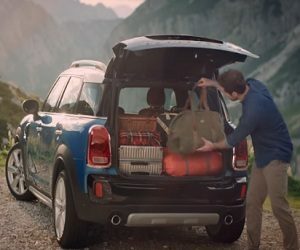 HP: “The reimagined MINI Countryman forges new ground with world-class performance engineering, available ALL4 all-wheel drive, innovative new technology, and even more room for passengers, gear, and the countless stories that each new mile will bring”. Introducing The Biggest Mini Yet. The New Mini Countryman.